Did you realize that next month (March) is National Crochet Month? Who doesn’t love a celebration! I certainly do! For the 4th year in a row, I’m taking part in the #natcromo Crochet Express blog tour. I can’t wait to see all of the fun, freebies and discounts that will be happening next month! Over 90 crochet designers will be featured in this year’s blog tour, along with yarn companies, crochet-friendly yarn stores and daily giveaways. That sounds like so much fun!!! My date in this year’s blog tour is March 7th, so be sure to check out my blog post on that date. To celebrate National Crochet Month, I’ll be giving you 2 fabulous offers next month! 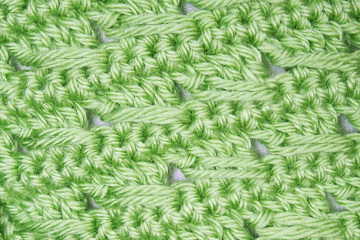 Starting on March 7 and running until March 31, I’m offering a FREE pattern, my new “Luck o’ the Irish Scarf” design (no code needed) AND I’m giving a 25% discount on all crochet patterns on my website with a special coupon code that I’ll give you on March 7th. To learn more about the festivities, freebies and giveaways going on in March to celebrate National Crochet Month, check out this Crochetville blog post. 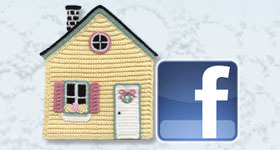 You can also follow the National Crochet Month blog tour on their Facebook page and on Crochetville.com. Come ride the Crochet Express with me and celebrate all that is crochet! This entry was posted in Discount, Free crochet patterns, National Crochet Month and tagged free patterns. Bookmark the permalink.